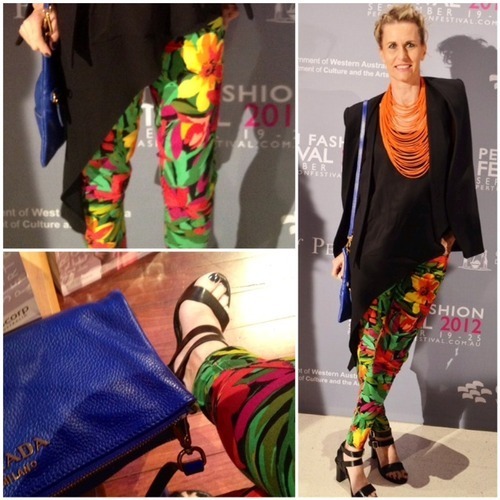 Several people have suggested that a blogpost on my PFF outfits would be interesting and great for sharing ideas. So here we go below…I hope you enjoy and of course… share the love!! Media Opening of the Perth Fashion Festival 2012, Heath Ledger Theatre. Neon and electric blue! 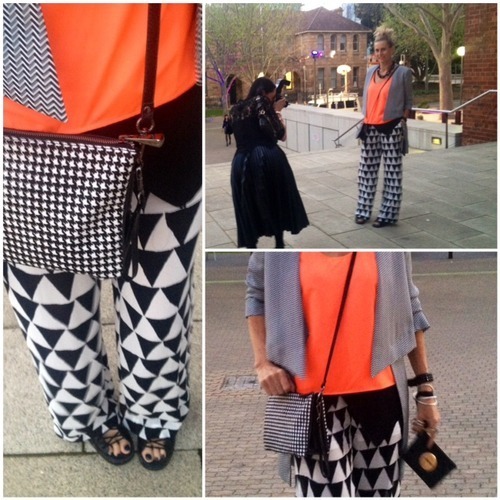 A mix of Shakuhachi, Manning Cartell and sass & bide. Morrison Show at Fashion Paramount: Lipstick Coral! 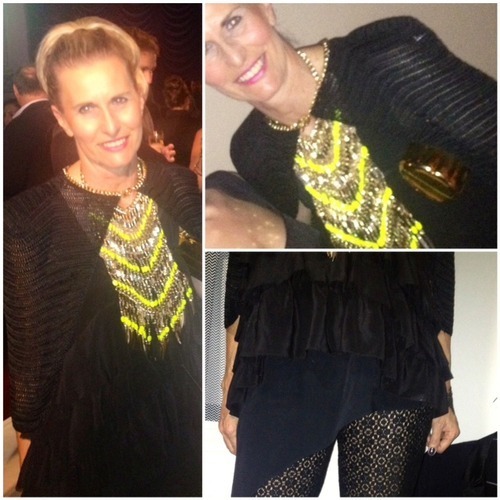 Sass & bide from top to toe! Plus, David Lawrence satchel and Country Road chain. 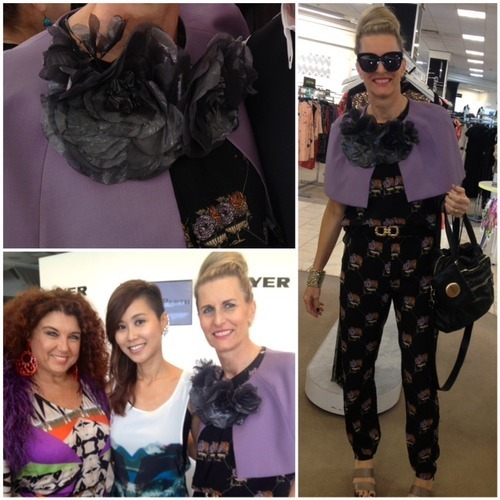 Myer Luncheon at Frasers: Lilac Delight! Ellery floral onesie, Yeojin Bae cape, Costarella corsage and Robert Clergerie sandals. 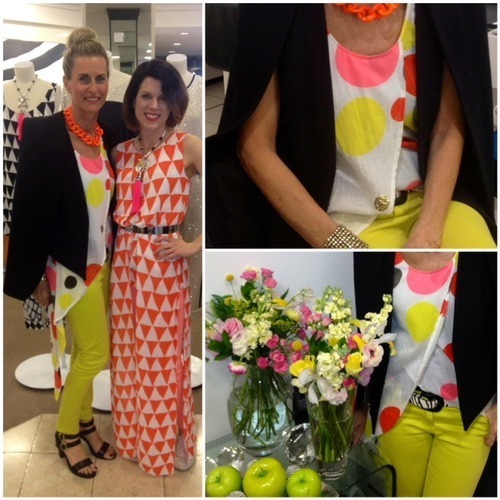 Myer instore Designer VIP night: Spots! 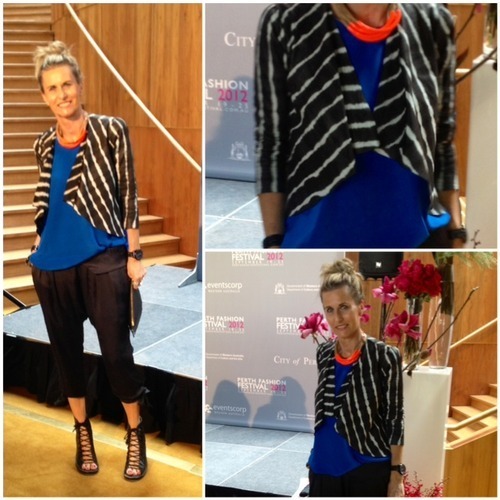 Sass & bide outfit, Cue zebra belt and Urban Sole sandals. Designer Capsule #3 at Fashion Paramount: Florals! Bardot top, no name floral skinnies, sass & bide tangello necklace and cape, Urban Sole sandals. Student Runway at Fashion Paramount: Stripes! 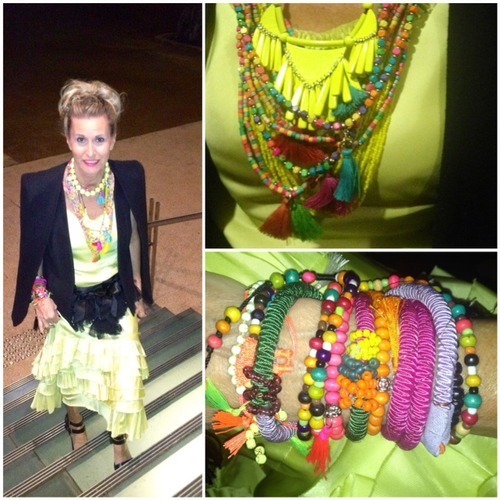 Vintage pants, Bonds lime fluoro singlet, Bardot singlet, sass & bide sequined jacket and Miss Shop feathers. An Evening With Flannel at Fashion Paramount: Animale! Simona leopard harems, Ellery jacket, and Shakuhachi boots. VIP Closing, Giving Back Is The New Black at Government House: Sherbet! Trelise Cooper maxi with Allanah Hill cummerband, sass & bide cape and piles of Bali beads. My survival Tip #1 for the week long fashion-a-thon was simply to be prepared, (especially for Spring rain, wind and crazy storms). I ensured I had enough different pieces to mix, match, combine, clash and interchange, depending on the unpredictable weather. I didn’t plan EXACT oufits for the whole week. Rather, I created as I went along, after work each day. Tip #2 Shoe comfort. There can be a lot of walking and standing around (especially at The Court Champagne Bar, during the intervals!!) Sore feet ruin a night. It’s a wrap for PFF 2012…hope you enjoyed the AndAndrea ride and please, plan to come along to some shows next year! !